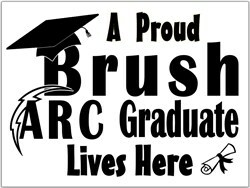 The After Prom Committee is taking orders for 18" x 24" graduation yard signs. Signs are $15 and are available by pre-order. The order form is attached to this story and orders are due May 3rd. Signs can be picked up with Cap and Gowns. Don't miss out! Get yours today!